Connect to data seamlessly from IOS and Android cell phones using our convenient "iSport Activity Monitor" Fitness APP. 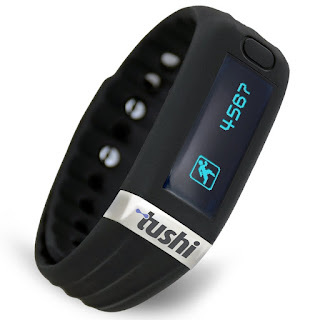 Features calorie counter, pedometer AND sleep performance monitor at the touch of a single button. 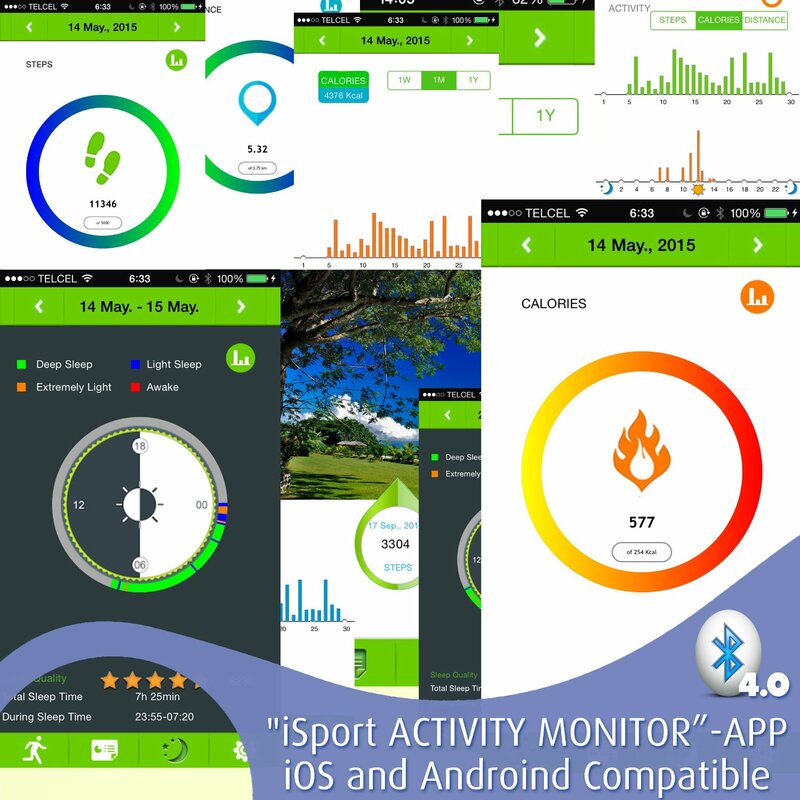 Set your fitness goals & track your progress in real time with this informative wrist-band pedometer. Features Silent Alarm to wake you and Activity Reminder to help push you harder toward your goal. 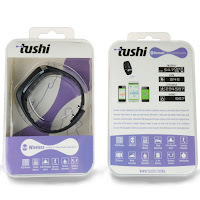 The Tushi Fitness Tracker Wristband & Wireless Monitor is awesome! I love how light and comfortable the wristband tracker is. I thought it would be uncomfortable to wear while sleeping but it wasn't one bit uncomfortable. I also love the alarm feature! You can set an alarm to wake you up and it vibrates to alert you. I specifically like this feature because there's no loud alarm to startle you, it gently wakes you up and doesn't wake anyone else up that's also sleeping in the same room like my husband or my three month old. I also like the alert that can be set to remind you to get up and be active. I have it set for fifteen minutes so if I haven't moved for 15 minutes it vibrates. You'd be surprised at how many extra calories this helps you burn. It's an excellent feature and a great one to help you torch some calories and hit your weight loss goals. I really like that the Tushi Fitness Tracker Wristband & Wireless Monitor tracks your sleep, calories, steps and allows you to set goals and alarms. It's awesome to see your daily data and try to improve your sleep, calories burned and steps. I love setting goals and believe they are key to staying healthy and fit. I highly recommend this product!